Donald Trump has surged in recent national polls against Hillary Clinton, overtaking her for the first time in the coveted RealClearPolitics average of several polls earlier in the week. 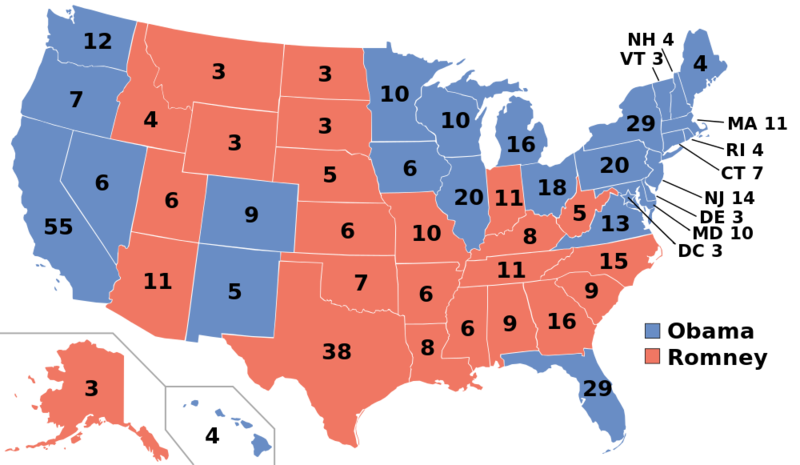 But for all the fuss over the national polls, the only outcome that will matter on election night is how many states Trump can convert from blue to red on the 2012 electoral map between President Barack Obama and then-GOP nominee Mitt Romney. And, based on recent polling and projections, 2016 is shaping up to be very much like 2012. Of 23 states with recent polling available on RealClearPolitics, 22 align with the same party in 2016 as in 2012. The only one that is not, Virginia, is a statistical tie in the latest poll. People demonstrate against Republican U.S. presidential candidate Donald Trump outside his campaign event in San Diego, California , U.S. May 27, 2016. REUTERS/David McNew TEMPLATE OUT. And the percentages by which Clinton and Trump are leading in these states is, in many cases, nearly identical to the difference by which Obama and Romney won them by in 2012. In 2012, the key swing states of Florida, Ohio, and Pennsylvania went to Obama by a difference of 1, 2, and 5 points, respectively. Clinton is leading in the RealClearPolitics average in those states by a near-identical 2, 1.4, and 5.3 points. 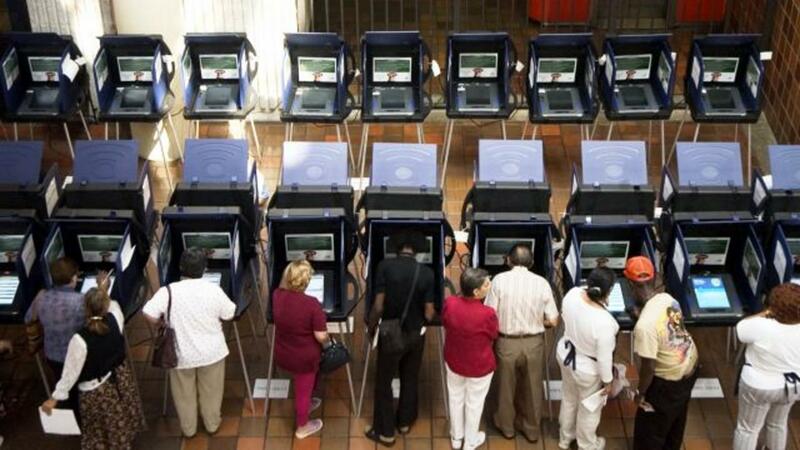 "Every place we've polled in the last month we've found the Clinton/Trump race within a few points of where the Obama/Romney race ended up," wrote Tom Jensen, the director of the Democratic-leaning Public Policy Polling. 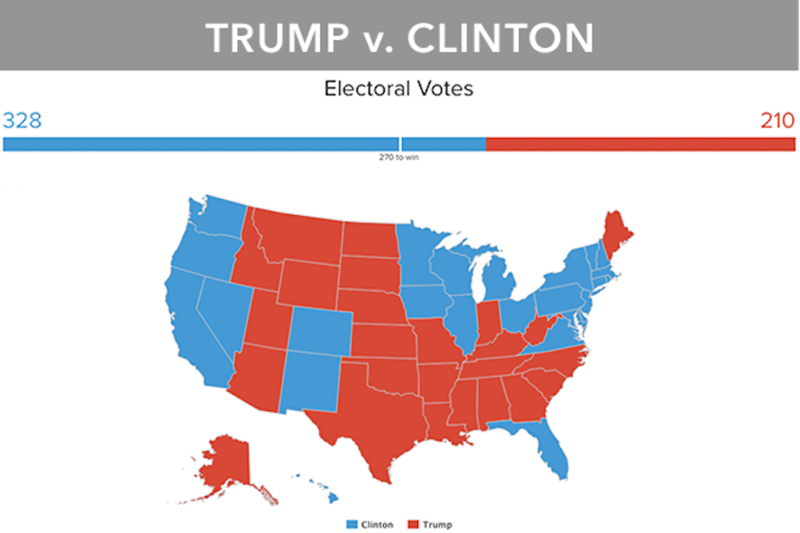 He added: "There was so much talk earlier this year of Clinton winning some sort of historical landslide that expectations got out of whack and now fuel perceptions that she's doing really poorly, but the bottom line is she's pretty much where Obama was in an election that while relatively close in the popular vote ended up as an electoral college landslide." 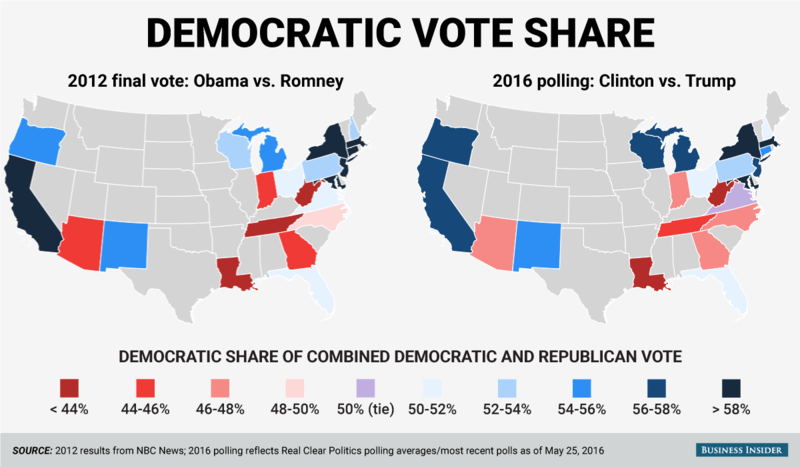 Although still months out from an election that has proven volatile, those numbers make it look increasingly difficult for Trump to overcome the Obama-Romney map of 2012, when Obama won with 332 votes in the Electoral College.